Google is allowing users to download out-of-copyright books in PDF format. Here is an example of the free download. I'd like to thank all of you for using me as your main PDF generator. On Monday, August 28 2006, 43.36% of my visitors are returning visitors. This free eBook is an emergency preparedness ready-reference for dogs and cats. Wise preventive measures, intelligent use of first aid principles, coupled with recognition of abnormal symptoms and treatment of disorders, diseases, and problems, lead to effective health care. A working knowledge of this information will help you eliminate some potentially dangerous circumstances and help you prepare for emergency situations. The fact is that this is the perfect time to write an ebook. What the publishing industry needs are people who can tap into the world as it is today - innovative thinkers who can make the leap into the new millennium and figure out how to solve old problems in a new way. 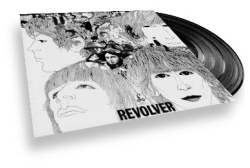 Ray Newman, the author, says: "August marks the 40th anniversary of the release of the Beatles' 1966 album Revolver. I've spent two years working on a short book about the making of the album which is available as a free PDF download. It's licensed under Creative Commons"
Planet PDF hosts free classic books such as Great Expectations, Aesop's Fables, Anna Karenina, and Alice's Adventures in Wonderland. Textbook prices are soaring into the hundreds of dollars, but in some courses this fall, students won’t pay a dime. The catch: Their textbooks will have ads for companies including FedEx Kinko’s and Pura Vida coffee. Selling ad space keeps newspapers, magazines, Web sites and television either cheap or free. But so far, the model hasn’t spread to college textbooks — partly for fear that faculty would consider ads undignified. The upshot is that textbooks now cost students, according to various studies, about $900 per year. Now, a small Minnesota startup is trying to shake up the status quo in the $6 billion college textbook industry. Freeload Press will offer more than 100 titles this fall — mostly for business courses — completely free. 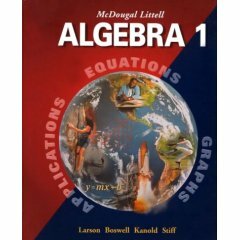 Students, or anyone else who fills out a five-minute survey, can download a PDF file of the book, which they can store on their hard drive and print.